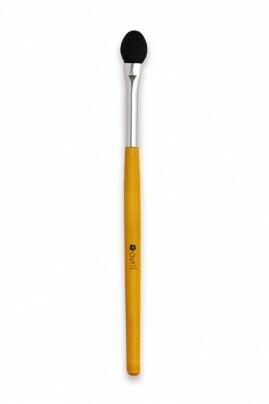 AVRIL Eyeshadow Applicator Sponge Brush is great to apply your eye shadows with precision and softness. Perfect for highlighting the inner corner of the eyes and the brow bone ! For only 3€, Avril's Sponge Brush has an excellent quality-price ratio ! Apply your eye shadow using AVRIL Eyeshadow Sponge Brush in the inner corner of the eyes and on the brow bone, for a luminous makeup look !